Okay! After going through many trials and tribulations with my Bare Essentials Bed Set it came to my attention that the shifted down beds don't work in high rise apartment shells. So, to compromise, I made some deco railings to go under the beds when at regular height. By using these, you can still get that "bare minimum" look and feel without the bed having to be completely on the floor. 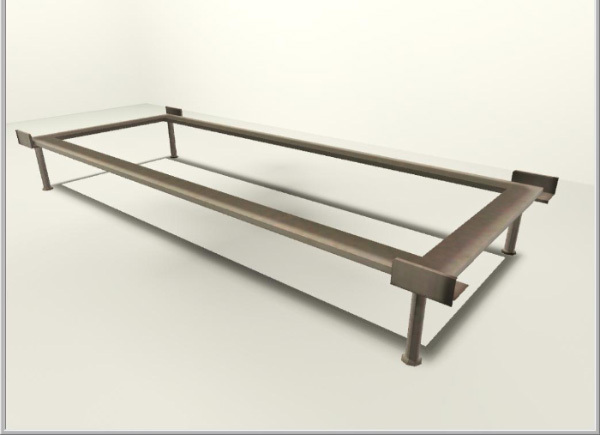 I chose not to just upload an version of the bed with the railings attached because I didn't want to lose the customization options. The railings have three channels: main railings, side guards and feet. 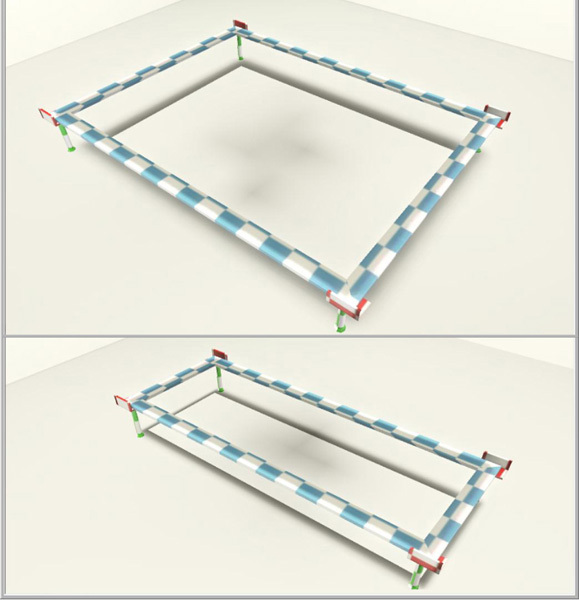 Both meshes have good UV mapping as demonstrated. There are two options: one with a ground shadow and one with no ground shadow. I included one with a ground shadow for realism if the railing is stand alone. However, it looks kinda weird when they're under a bed so I took them off for those who don't want them. Only install one version. Purchase the bed and leave it at regular height (do not shift it up or down). Place under the bed, and viola! The railings have correct footprints so it'll snap snugly under the bed. It doesn't block sim animations so they won't whine when trying to get in the bed. -You may use my objects with lots. -You may retexture my meshes. -You may include my meshes with retextures. -You may NOT upload my objects with lots. -You may NOT upload my creations to paysites. -You may NOT upload my creations to the exchange. -I do NOT take requests! I hate that ground shadow the more I look at it, so I have a version without it. Yea, its a bit heavy. You can add a custom shadow you know - one thats a bit less heavy.